This property is within the Light Industrial designation determined by the City of Nampa Comprehensive Plan. It is in an excellent location in the path of future growth with a large pool of qualified labor in the surrounding communities. 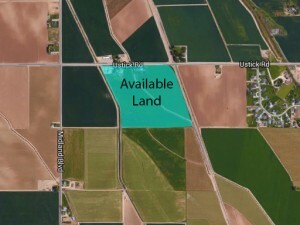 It is located adjacent to the Union Pacific Railroad line and access may be possible. A main transmission line runs along the East property boundary.